​Kitbash Fortnite skin arrived in the game Saturday alongside its mechanic compatriot Sparkplug. The two outfits are now available in the Fortnite item shop. Here's everything you need to know about the two mechanically-minded new additions. ​Kitbash is a scrappy new robot in Sunday's Fortnite item shop whose description reads "Show 'em what you're made of." 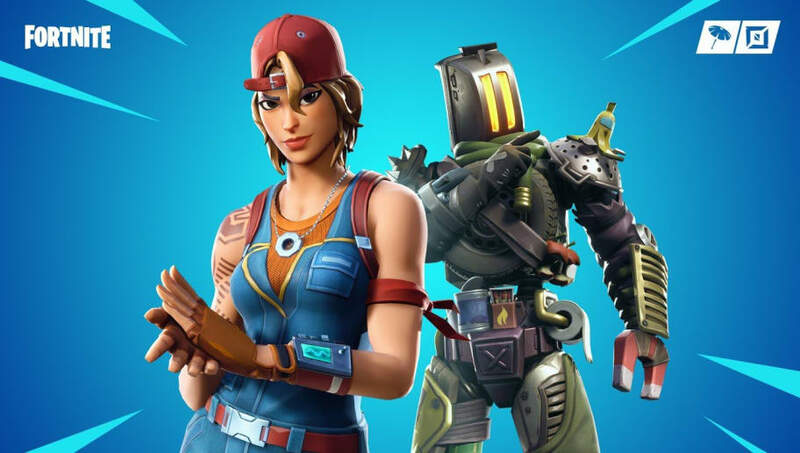 Players can pick the outfit up for 1,500 V-Bucks alongside its presumptive mechanical repair woman Sparkplug. The latter will run players 1,200 V-Bucks, and her description tells players to "Scrap the competition." Also available in Sunday's item shop are the Frozen Gear bundle — which includes the Frozen Feathers glider, Frozen Beak pickaxe and Cold Hearted pickaxe — for 1,00 V-Bucks, the Burnout outfit for 1,500 V-Bucks, the Stop Axe for 800 V-Bucks, the Pop Lock emote for 800 V-Bucks, and the classic Infinite Dab for a low, low 500 V-Bucks.